When I was pregnant with Riley, I thought being pregnant was the hard part. I was bloated all the time, had zero energy, and during that third trimester, I couldn’t even tie my shoes. Once she was born, I quickly realized how wrong I was! Being pregnant was a breeze compared to what I was in for. So here I am, three months later, partnering with my friends at Allstate to share a few tips for new moms. Because yes, I’ve somehow survived three months with a newborn, but boy has it been the hardest thing I’ve ever had to do. When you talk to most new moms, they often tell you how they maximize the time they have when their baby’s napping. They take that time to clean or to make the bed or (if they’re lucky) to take a shower. The problem with that is that if your baby doesn’t sleep, you’re doomed! If your baby’s not a great napper, you’ll pull your hair out because you can’t get a single thing done. That’s why I tend to think that it’s important to learn how to get things done while your precious baby is AWAKE. How? Well, essentially, you have to multitask. For example, I love my baby carrier because I’m able to wear Riley while doing some household chores. I also keep my baby monitor on me at all times so I can watch her while I run into another room to do some laundry or make myself lunch. 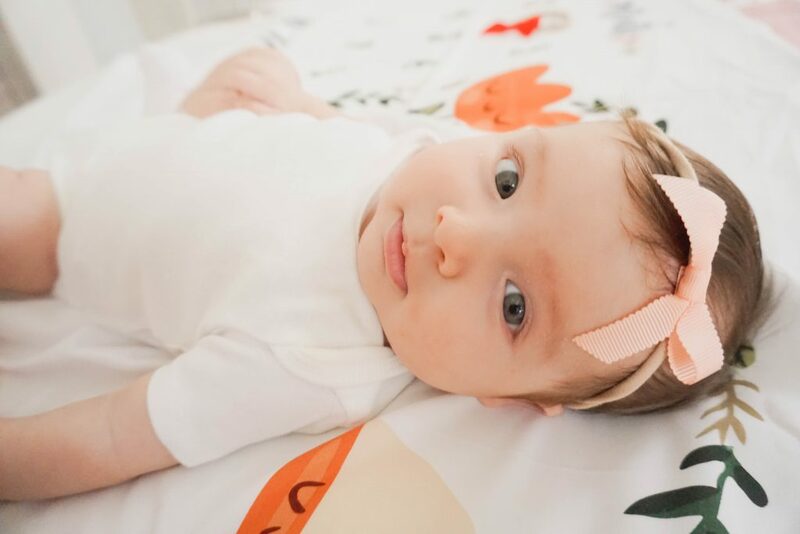 If I only did things when my baby girl was asleep, I’d only have a couple hours a day to do anything productive – and that’s on a good day. I’ll be honest, the first few months with a newborn can be overwhelming. Even if you’re a pro at multitasking like I mentioned above, it’s still really hard and very demanding. So don’t be afraid to ask for help. Even the strongest of us new moms end up in tears at one point or another – sleep deprived, exhausted, and/or super cranky. But the last thing you want to do is keep those feelings to yourself while trying to be some kind of super mom. Ask for help. There’s no shame in that. Ask a friend or a family member to bring you a sandwich! Ask them to come over and just watch the baby for half an hour so you can take a nap. No one ever said you had to do this alone, and I’m sure that those around you will be more than happy to help you out. Being a new mom – especially if you’re the first of your friends to have a baby – can be a little lonely. You’re experiencing so many new things and if you don’t have anyone to relate to, the whole process can be a little isolating. So get out there and connect with other moms. Join mom groups, make some play dates for your little ones, or at the very least, check out some mommy bloggers and YouTubers! I’ve been binge watching YouTube videos of moms and their kids because I can relate to their experiences, and I’ve learned so much from them. So if you’re a new mom and want to connect, feel free to check out MY YouTube channel and say hello! I’ve been vlogging and filming my everyday life with a new baby girl, hoping to share my experiences with other moms out there! You can’t properly care for a baby – especially during those first few months – if you’re a complete and total mess. You need to take care of yourself in order to take care of your baby. Drink water. Eat a good breakfast. Take a shower at least every other day! And then make time to do stuff you enjoy. Read books if that’s what you like. Catch up on those tv shows you love. Light some candles. Drink a little wine. Whatever it is that makes you feel like yourself again, do that and you’ll find yourself so much more capable of caring for another human being. Caring for a newborn is kind of like improv – you just have to go with the flow. Some days your baby will behave. Other days, not so much. Some days, your little one will take 5 naps. Other days, she’ll take none. Some days Riley will be happy to hang out in her glider while watching Baby Einstein, and other days she’ll literally want to be on top of me the whole day. There just isn’t a plan when your baby’s that little, so embrace the chaos and work with it. Otherwise, you’ll go insane. Give yourself a break. The fact that you birthed a human means you’re already pretty awesome. So don’t be so hard on yourself. You don’t have to do it all. You don’t have to cross every little thing off your daily to-do list. You really don’t. You’ll have good days and you’ll have bad days, but either way, as long as you’re taking care of your little one as best as you can and you’re keeping your baby safe, you’re succeeding, momma – and don’t let anyone (including yourself) tell you differently. This is a big one because as a new mom, people will throw so much unwanted advice in your face. Now, keep in mind, most of it is given to you with good intentions. Take this blog post, for example – I’m not forcing you to read it, but it’s here if you want to. It only becomes a problem when people start criticizing your parenting – and man, I don’t care who you are, at some point or another, you’ll experience a lot of criticism. Breastfeeding vs bottle feeding. Cosleeping vs not cosleeping. Sleep training right away vs waiting until they’re older. There are so many decisions we make as parents and other people will always believe that their way of doing things is better. So do yourself a favor and ignore those unwanted opinions. Do what you feel is right for you, your baby, and your family, and that alone will make those first few months with your newborn a whole lot better. So that’s it, my friends! 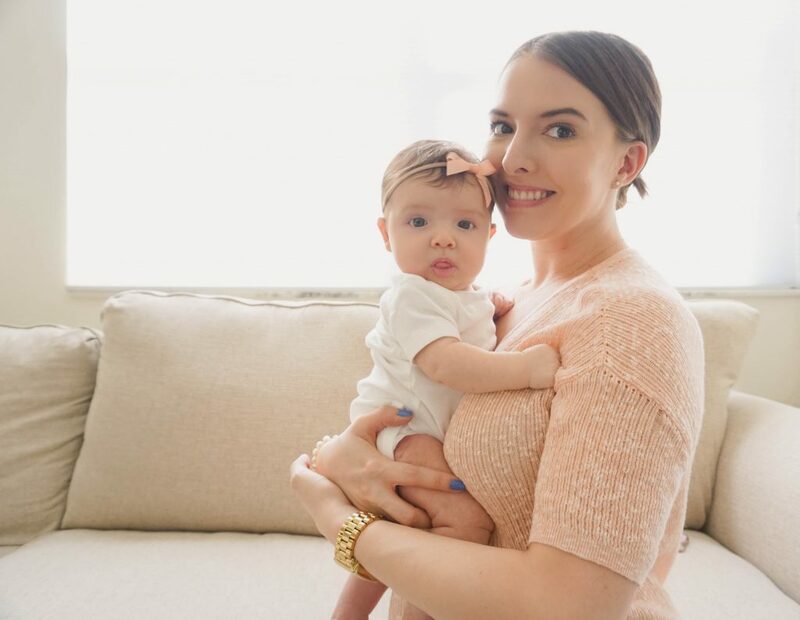 My tips for new moms! Hope they help you out a bit, and remember – you’re not in this alone! If you’re ever feeling down or just need to chat with another adult, shoot me an email at lostgenygirl@gmail.com and we can pretend we’re chatting at Starbucks while sipping on (a lot of) coffee. Also be sure to check out Allstate’s resources for new parents! They’ve got a ton of helpful info that’ll help you along this new journey! I don’t have any kids yet, but many people in my life do, and I totally agree with these. I think moms should ask for more people if they need it and take time for themselves when they can. I also love your last one about ignoring unwanted advice. I would really like people to stop judging how others parent. These are great tips! I totall agree with doing things while your baby is awake. Baby wearing is the best. You totally have to do things when babe is awake or NOTHING gets done! These are awesome tips! I hate it when people think you can only do stuff when a baby sleeps. What if they dont slep! Wish I knew those tips long ago! They should teach those in school! Love these tips. I had to learn how to do the first one. Since my daughter will only take 35 minute naps during the day.